These three words have been my motto throughout my life. 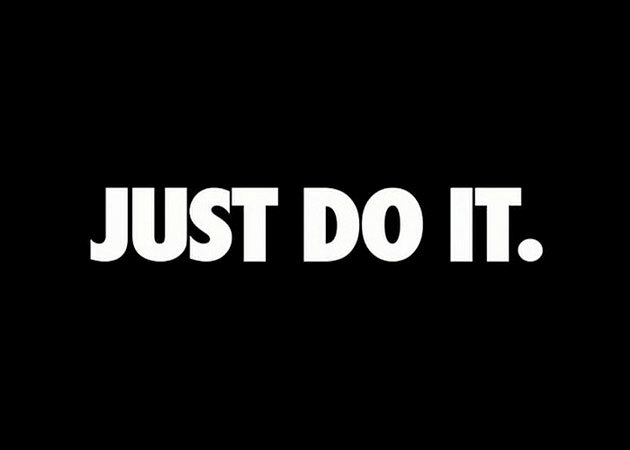 While I may have borrowed the Nike slogan, these three words accurately summarize that we need to stop just talking about ideas and get out there and make them happen. I’ve thought about starting a blog a few times after reading thoughts, ideas, and examples from other educators. I’m a reflective person, and I often put my thoughts into writing to process them. But I worried-do I have good ideas to share and will others read and respond. After seeing other educators on Twitter begin blogging this summer, understanding the importance of sharing ideas, and realizing that my thoughts and experiences help paint a picture of who I am, I’ve decided it’s my turn. I am creative, willing to share, and will continue to learn from others. Enough talk about starting some day, I’m going to start now! When I was younger, I used to figure skate. As I became more advanced, I learned how to perform double jumps (jumping and rotating twice before landing). Jumping was scary-I could fall, possibly hard, for a number of reasons. Some days on the ice, I would skate in circles around the rink. I would practice various jumps, and right when it was time to take off, I got nervous and circled again around the rink. It was possible I would fall, but it was also possible I would have a strong landing or a wobbly one but fight to stay on my feet. I wouldn’t know what would happen if I didn’t try. I just had to do it. If I fell, I would stand up, brush off the ice, and try again. If I landed on my feet, I would have a big grin and a feeling of accomplishment because I did it. These lessons can be applied in the classroom as well. We, as educators, want our students to try new things. Everything will not be easy or immediately understood; students may struggle, feel confused, or need assistance or extra practice, but we don’t want them to give up. “Just give it another try” we smile at them with encouragement. Eventually, they get it. Their confidence increases and their faces beam with pride and accomplishment as they burst out, “I did it! !” Teaching adversity and perseverance are just as important as reading and math skills. I have a lot of ideas on my to-do lists of things I need to get done or want to try. I need to stop adding to the list and just start doing them. It doesn’t mean everything will work out or be easy, but I need to try, make adjustments, and learn from the experiences. I’ve already crossed of one item on my list-starting a blog. Congratulations on starting your blog! Excellent beginning–and I love your “just do it!” theme. Thanks for taking the plunge–I know you won’t regret it!